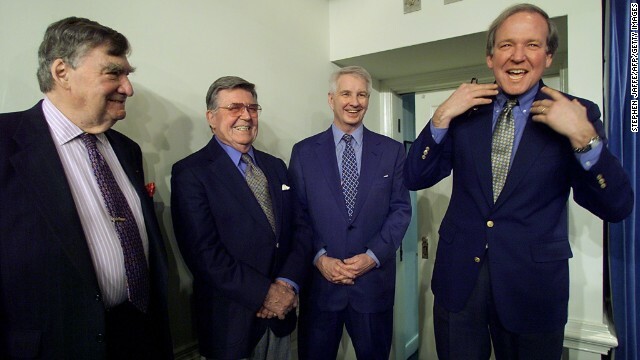 Former press secretary Mike McCurry (R) laughs with other former press secretaries Pierre Salinger ( L), Larry Speakes (2nd R) and Jerald teHorst (2nd L) prior to US President Bill Clinton dedicating the White House press briefing room to former press secretary James Brady 11 February 2000. (CNN) - Larry Speakes, who served as the acting White House press secretary under President Ronald Reagan, died Friday morning at his home in Cleveland, Mississippi, following a lengthy illness, the Bolivar County coroner said. He was 74, coroner Nate Brown said. Speakes took over the duties as acting White House press secretary after James Brady, the press secretary, was shot during an assassination attempt on Reagan on March 30,1981. CNN's GUT CHECK | for CNN's GUT CHECK for January 10, 2014 | 5 p.m.
One day after an ex-official invoked his Fifth Amendment rights at a state legislative hearing on the New Jersey bridge scandal, CNN's Chief National Correspondent John King reports the legislative committee's chairman and staff are taking steps to subpoena Bridget Anne Kelly, a second key witness and Gov. Chris Christie's ex-deputy chief of staff. 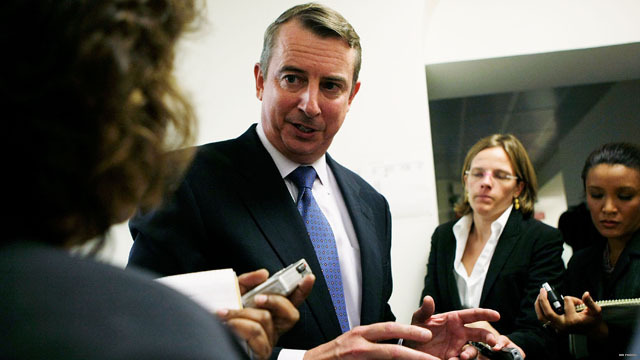 Washington (CNN) - Former Republican National Committee Chairman Ed Gillespie is expected to soon announce he will seek the Republican nomination for the Senate seat in Virginia currently held by Democrat Mark Warner, who is running for re-election next year, a Republican familiar with the matter confirmed to CNN. He has informed some party leaders he will mount the campaign after testing the waters and could announce his candidacy as early as next week the source said. (CNN) – A New Jersey State Assembly committee on Friday released a large batch of more than 2,000 pages of documents that are part of its investigation of top appointees to Gov. Chris Christie who closed down access lanes in September to the country's busiest bridge as an alleged act of political retribution. (CNN) – One day after an ex-official invoked his Fifth Amendment rights at a state legislative hearing on the New Jersey bridge scandal, CNN's Chief National Correspondent John King reports the legislative committee's chairman and staff are taking steps to subpoena Bridget Anne Kelly, a second key witness and Gov. Chris Christie's ex-deputy chief of staff. 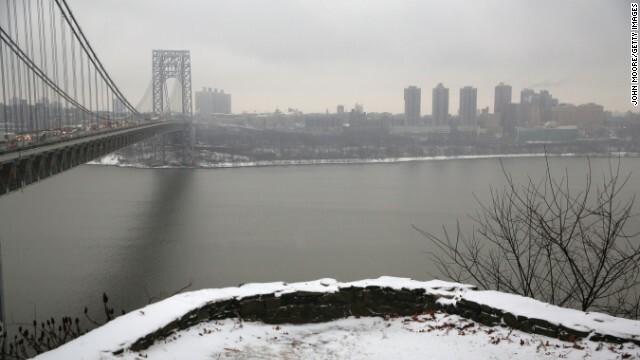 Christie announced Thursday that he fired Kelly after recently emerged emails indicated she played a major role in the decision to shut down multiple access lanes to the George Washington Bridge as a political vendetta. The lane closures caused a massive traffic jam in Fort Lee, New Jersey, for nearly a week in September. Washington (CNN) - New year, same focus. The Republican led House of Representatives, in its first major action of the 2014 session, voted on another bill aimed at Obamacare – this one meant to fix what the GOP views as a serious security problem with the new health care website. 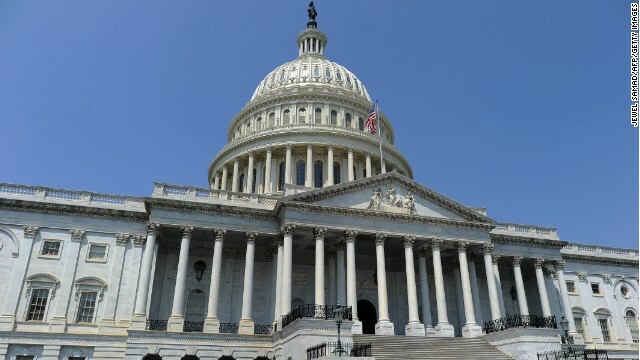 The House Friday passed a bill 291-122 to require the Administration to notify within two days anyone impacted by a security breach on HealthCare.gov, the website where Americans can enroll for insurance coverage. 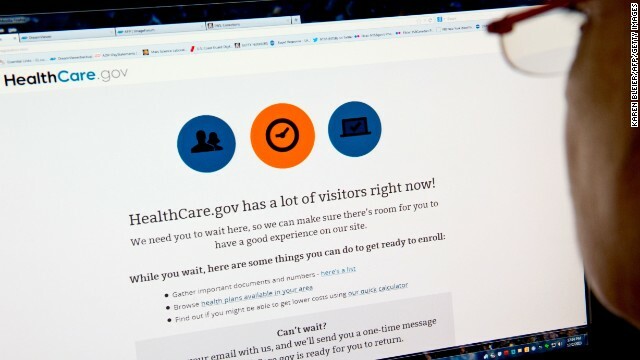 (CNN) - The Obama administration has cut ties with CGI Federal for its work as the main contractor on the Obamacare website, a source familiar with the decision told CNN. The contract was up and not renewed, the source said. Trenton, New Jersey (CNN) - Chris Christie's signature tough-talking style earned him plaudits from the press and politicos alike from the moment he emerged on the national stage as a candidate for New Jersey governor in 2009. It quickly catapulted him into a wider arena, the kind of place most politicians can only dream of: Whispers started coming soon after his election that he could star on a presidential ticket for the Republican Party. He seemed authentic. The real deal. 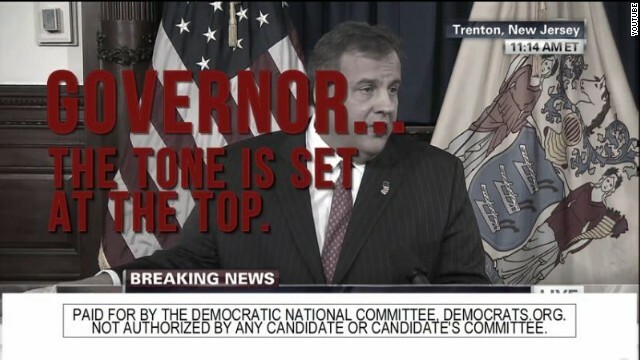 Washington (CNN) - The Democratic National Committee, which has been blasting New Jersey Gov. Chris Christie for weeks over the bridge scandal, is releasing a new web video Friday, accusing him for creating a vitriolic culture among his staff. "Chris Christie fired a top staffer citing his 'callous' tone. Christie argued that this was not reflective of the culture he's created in his office. But, over the last four years this 'callous indifference' is exactly the tone we have seen over and over again from Christie," said Michael Czin, press secretary for the DNC.